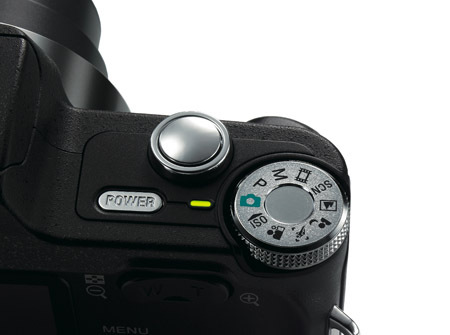 The DSC-H3 has some nice features, such as a burst mode - aka continuous shooting - which lets you fire off up to 100 images at two-second intervals, provided the battery and memory card can stand the pace. Auto-bracketing lets you take the same shot in three different exposure values, which is handy for tricky lighting conditions. The face-detection system does a good job of locking onto subjects. There are also some nice post-shooting features, such as the ability to add a spot colour effect to the image, so that an object can be in colour while the surrounding areas are in black and white. Soft Focus keeps the subject sharp while everything else is blurred and there’s also a starburst effect. You wouldn’t want to use these effects every day, but they are nice to have. Likewise, images can be cropped or have red-eye removed, and the supplied Picture Motion Browser software can be used for editing and burning images on a PC. However, the software is only available for Windows - a bizarre message in Sony’s instruction book describes ways of “Enjoying your Windows PC”. So how did the DSC-H3 perform? In two words: most impressively. Let’s start with its premier feature – the extra-long zoom. Anyone who’s struggled to get close to the action with a 3x zoom on their compact will really appreciate the 10x zoom. The anti-shake system does a good job in helping to keep things steady at the longer end of the zoom too. Images were sharp, clear and crisp, and colour reproduction was good. Naturally, things get a little nosier at the higher ISO settings (1600 and above), but for most shooting situations, the DSC-H3 will deliver very good picture quality. Burst shooting worked well and the camera locked on to the subject (in this case, a fast-moving cyclist). Macro performance (which works from 2cm) was also a winner. There’s always the danger that a camera like DSC-H3 will end up as one of those products that tries to please everyone, but does the exact opposite. Not in this case. Users wanting more than standard compact camera will like the extra functionality, while those more used to using digital SLRs will still find plenty of things to keep them happy. There’s definitely a market for the superzoom, so if you want to upgrade to a better specified camera without sacrificing too much in terms of portability, or don’t fancy lugging around a digital SLR and lens kit, but want more than a bog-standard compact, then seriously consider the DSC-H3.